If the Rochester winter weather starts to get you down during January, you may find an escape at International Art Acquisitions. The gallery, through this month, is displaying "Parisian Afternoon," an exhibition of paintings by contemporary Brazilian artist Monteiro Prestes that depict the iconic, romantic hustle and bustle of Parisian life. Prestes is also known for his vivid landscapes and still life paintings. 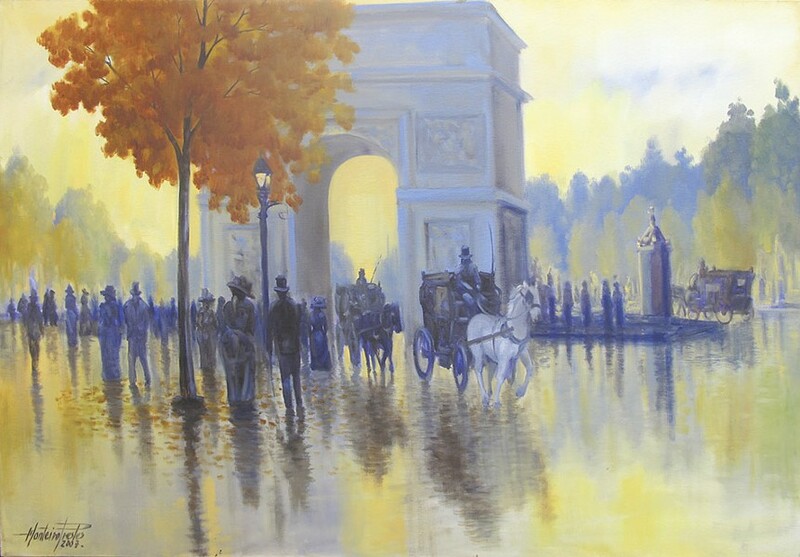 "Parisian Afternoon" is on display through January 31 at International Art Acquisitions, 3300 Monroe Avenue. Monday through Friday, 10 a.m. to 9 p.m.; Saturday, 10 a.m. to 6 p.m.; and Sunday, 12 p.m. to 5 p.m. Free. 264-1440; internationalartacquisitions.com.